This week at SecureIt, Ryan and Tom are highlighting customer success stories. Learn how gun owners use CradleGrid to build custom gun walls, create unique storage systems, and set up their Agile Model 52 for max storage efficiency. A major benefit to a Gun Wall Kit is the flexibility to build your storage display however you see fit. You can start with a simple layout and expand or reorganize your display based on YOUR storage needs. CradleGrid Technology affords gun owners the ability to adjust on the fly and create the ultimate gun wall setup. The Retrofit Kit is the solution to the organization issues that exist within many gun safes and cabinet. These kits provide gun owners with straight-line access and remove the need to store guns in front of guns. Retrofit Kits also provide gun owners with an opportunity to get creative with their firearm storage. Many customers have sent in images and videos of custom gun storage projects that embrace SecureIt’s intelligent firearm storage philosophy. These customers have built gun storage inside of old soda machines, candy machines, wardrobes, closets, and so much more! This ultralight gun storage solution has the ability to do everything a traditional gun safe can do. The Model 52 is also discreet, can be easily hidden and does not contain materials that are hazardous to firearms. The modularity provided by CradleGrid also give gun owners the ability to set up their cabinet for max storage efficiency. Gun owners can also designate their Model 52 for specific types of firearm, ammo, and gear. SecureIt is redefining firearm storage. Why? Because the gun safe industry has failed and misled its consumers. Most gun safes on the market today are nothing more than heavy lockboxes classified as residential security cabinets. These boxes are filled with carpeting, drywall, and toxic materials that are damaging to your firearms. Additionally, these RSCs don’t provide any true value when it comes to security. Many gun safes are indiscreet and can be cut open in minutes. The gun safe industry has also failed to keep up with the sweeping changes in the size and shape of modern firearms. Gun safe capacities have become a measurement of how many slots can be added to a bracket. A herd mentality prevails, whether it’s a gun safe or a gun cabinet – put ‘em in the barn and close the door. Guns bump against guns, little to no room for scopes, and absolutely no respect for your firearms. 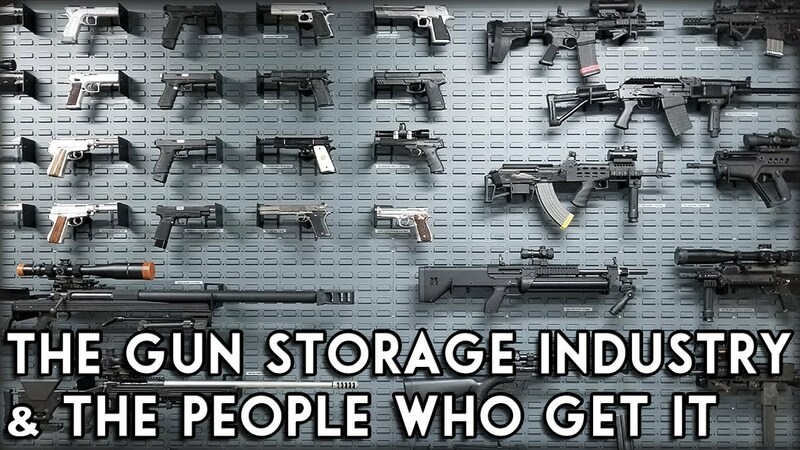 That is why we are changing the gun storage industry by implementing storage techniques that protect your firearm collection. Gun owners should have products that create a safe environment for your valuables, firearms, and loved ones. SecureIt is addressing these issues and changing the way gun owners store firearms through a variety of intelligent firearm storage products. Whether you’re buying a new safe or cabinet, upgrading what you currently have with our Retrofit Kits, or building the ultimate gun wall or gun room, SecureIt products are versatile and adaptable to meet your storage needs.